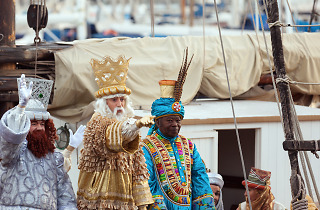 Kids in Barcelona count the days until the Three Kings come to their house and leave gifts on the night of January 5. That same night there are parades in nearly every neighbourhood or district in town, but if you're in the centre of Barcelona, you'll enjoy the biggest Kings parade as Their Majesties follow beautiful floats filled with lights and music and dancing on their route. 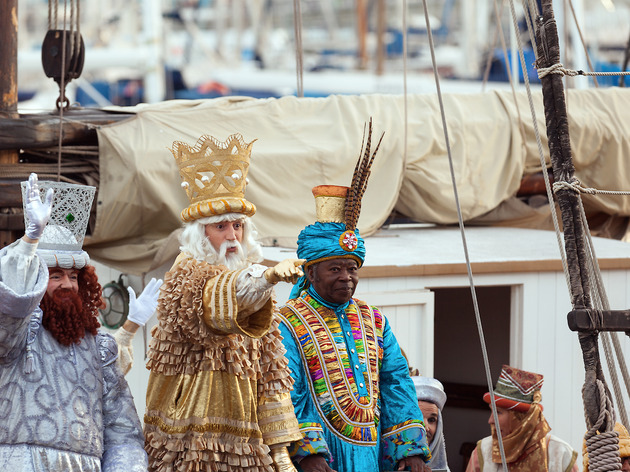 The Kings first disembark their ship at the Moll de la Fusta at 4pm, where they are involved in the traditional reception ceremony. They then start the parade from Av del Marquès de l’Argentera (6pm) and carry on up Via Laietana (6.25pm), passing Plaça Urquinaona (7pm), Plaça Catalunya (7.10pm) and Plaça Universitat (7.25pm). Next they go by Ronda Sant Antoni (7.35pm) and down Av Paral·lel (8.25pm) to Plaça Espanya (8.35pm), until they finally say good-bye to everyone for another year from Av Reina Maria Cristina (8.45pm).